Here are a few shots I took on Alexander's Zelkin Sn3 "Degulbeef & Cradding Railroad" last weekend. 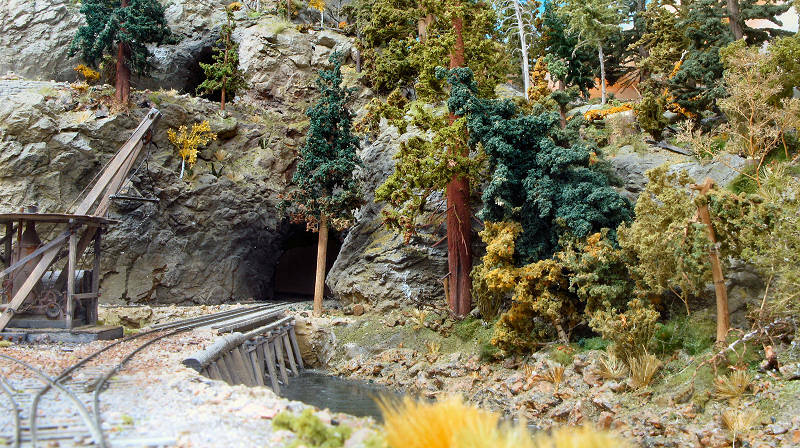 Despite its relatively small size, this layout has a wide variety of scenes that makes it look much larger than it really is. 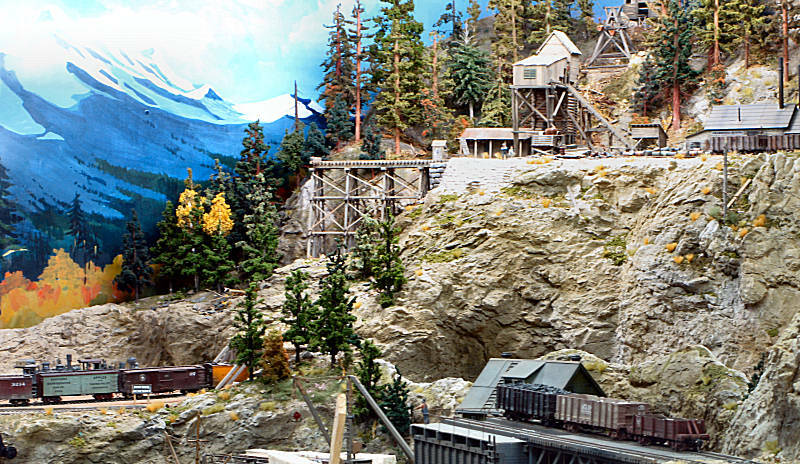 Scenery, structures, and rolling stock - all top notch! Thanks for sharing the photos, Frederic. Frederic, thanks for taking the photos and sharing them. He has a very nice layout with great details. Such a beautiful layout, and in my favorite scale: Sn3! 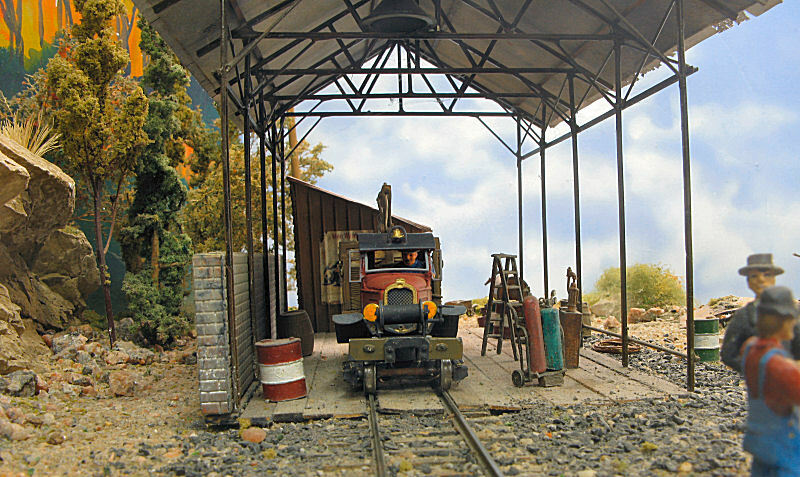 Does anyone know how he converted the Bachmann HO Shay into Sn3? Absolutely beautiful, Frederic! Great camera work of a great layout! Is there a Shay in the photos that I'm missing? 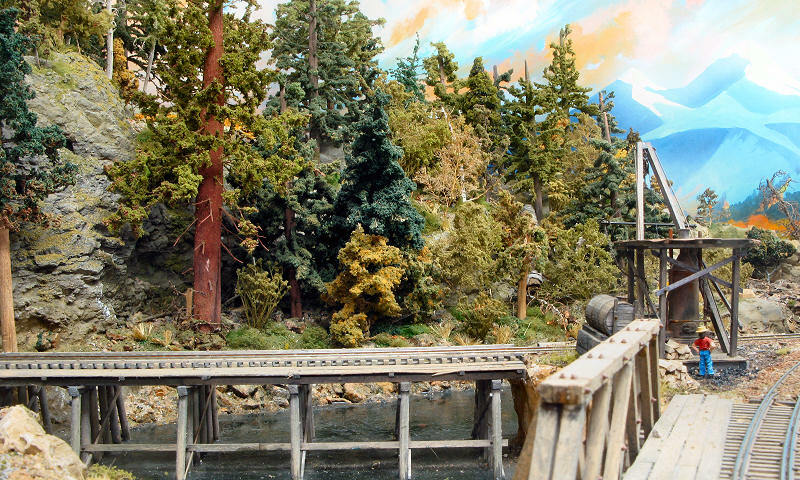 Thanks for the excellent shots of Alexander's layout, Frederic. I have long been a fan of his modeling, going way back to his first Gazette article many years ago. As always... a pleasure to revisit his fine layout through your fine photos! Very nice Frederic. Thanks for posting them. 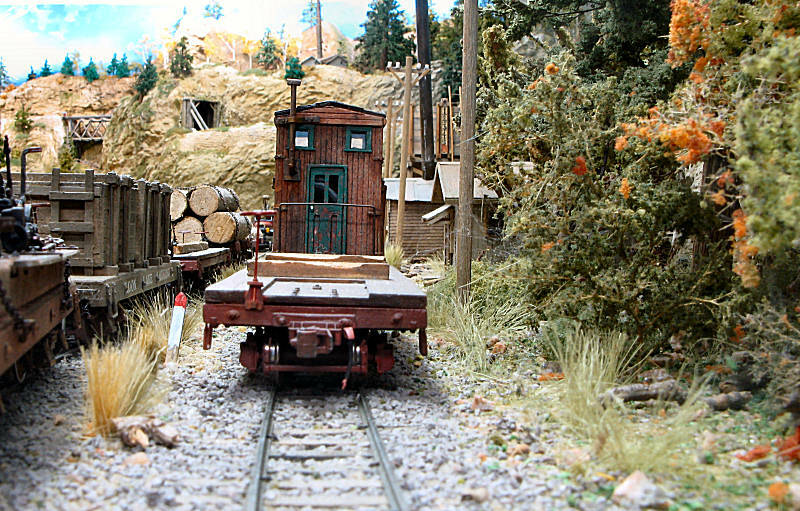 I love that tight shot of the railcar under the shed. 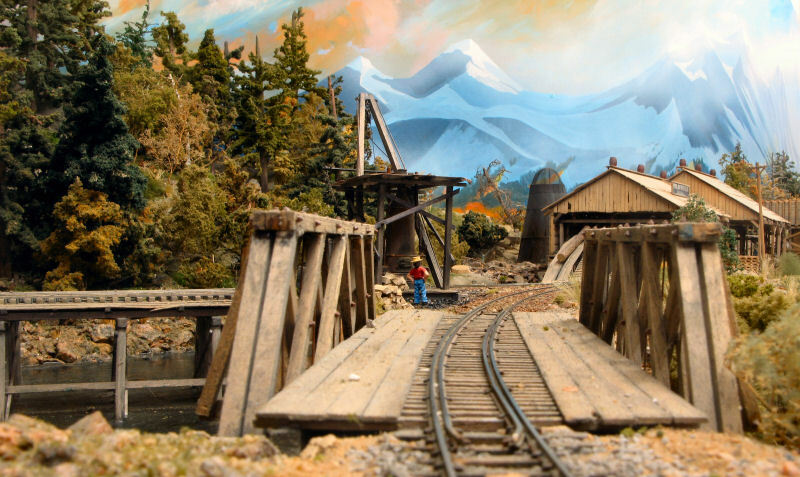 Very nice pictures of a great layout. thanks! A photographic treat. 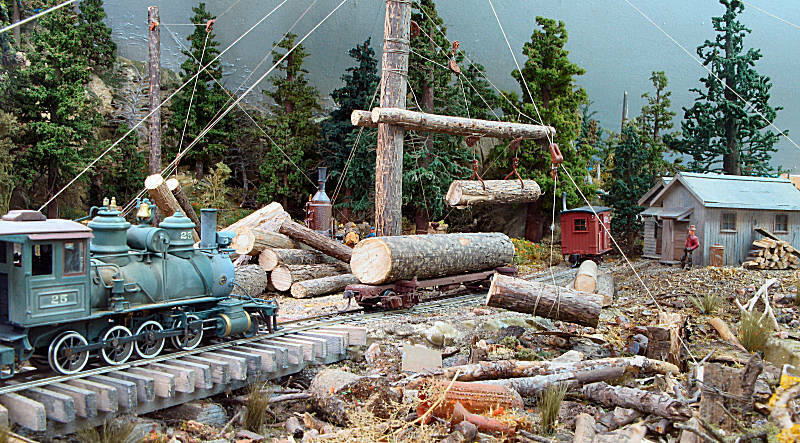 Thanks for posting the photos of Alexanders beautiful layout, greatly appreciated. It's not in the photos, but I know he has one. It's always been a curiosity of mine on how he did the conversion. Frederic, thank you for posting these pictures. Always a pleasure seeing Alexander's layout. Brandon, you must have seen it in one of the mags. 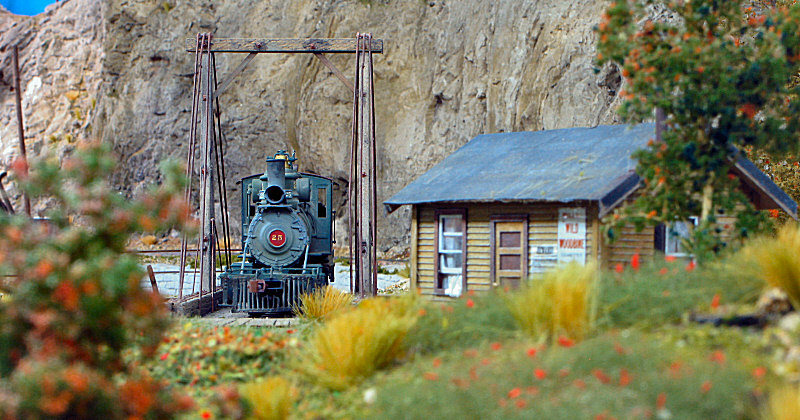 In fact, the loco you're speaking of doesn't belong to Alexander but to one of his friends, who let Alexander use it on his layout for several months. 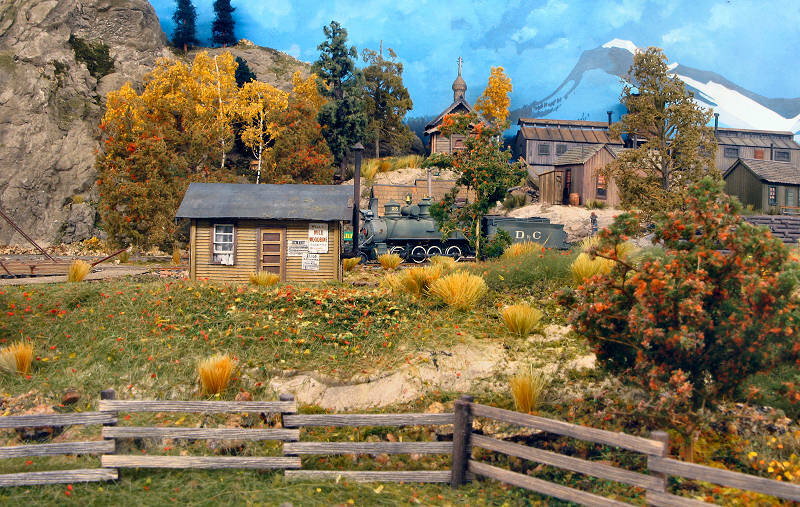 The conversion was made by Peter McParlin, Backwoods Miniatures' owner. Here is a link to a page on my web site featuring a few more pics (these are older ones), a track plan, and even the modeller. Oh ok, thanks for clearing that up Frederic. 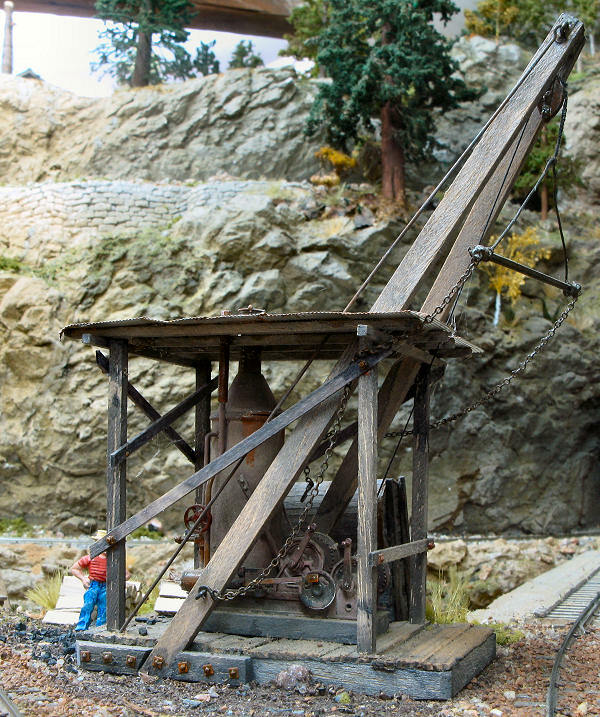 I've seen he is offering those Shay conversions on the Backwoods, and have been considering on getting one. Please tell Zelkin that I find his work outstanding.